Brenda Mohammed is from Trinidad in the Caribbean. She is an award-winning, best-selling, multi-genre author, and poet, who has written twenty-one books. Since she started writing she has won several awards for most of her books. One book, Zeeka and the Zombies skyrocketed to Amazon Bestseller No 1 in Cyberpunk Fiction in March 2019. 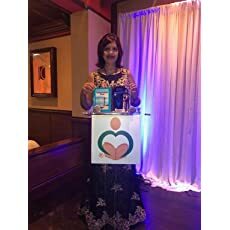 In November 2018 she travelled to Miami to collect two prestigious awards from Readers Favorite International for her science fiction novel Zeeka Chronicles and a Memoir I Am Cancer Free. Brenda believes "The Sky is not the Limit. The Mind is." You may find all Brenda's books on her Amazon Author Page. Please enter your email address and click the Follow button to follow Brenda Mohammed! This is the author's debut collection of Motivational and Inspirational Poems. This collection is intended to empower the disheartened, discouraged, and persons who have lost hope and self-esteem. It is the poet's wish that the poems will renew faith in the readers' lives and be a light unto their path.